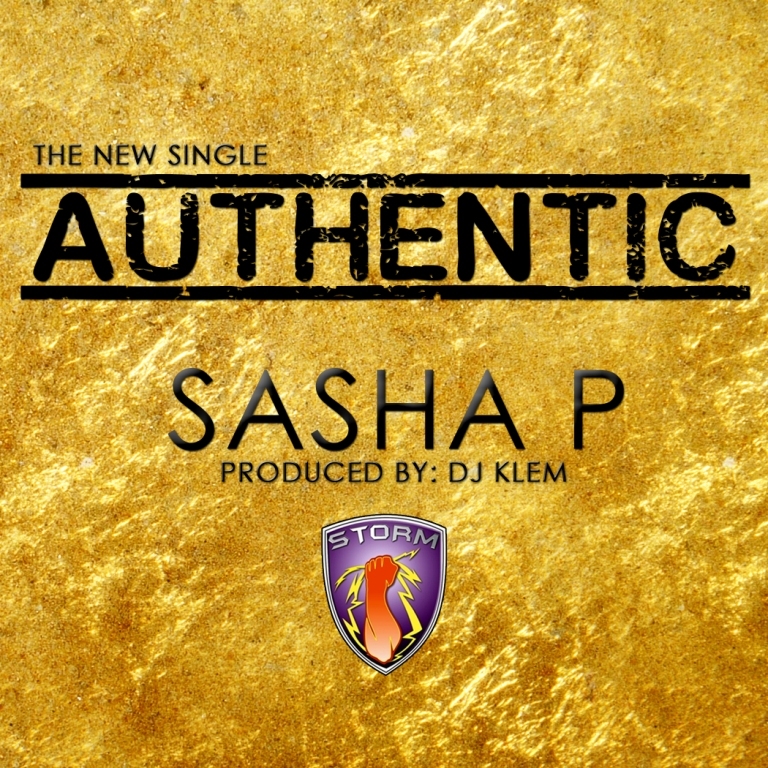 Storm Records is out with the release of Authentic, the new single from Africa’s First Lady of Hip Hop, Sasha P.
Authentic, which was produced by DJ Klem for Knighthouse features an anthemic, upbeat and rhythmic offering complimented by the catchy sing-along lyrics to present a fresh sound set to hit the airwaves. “I’m excited to have Sasha back focused on music, Authentic should remind everyone why she remains so relevant in the game and of course Bad Girl P should have sent enough warning signals that Sasha P is ready to rock the house,” Tola Odunsi, head of Storm Records says. With the success of the recently released cover titled ‘Bad Girl P‘, Sasha returns with new music to lay a foundation for her upcoming projects. “I took time out to develop my retail brand EclecticBySasha and the support has been amazing! However, music is my first Love and with all my new experiences its only natural I’m back to the music! Authentic is a glimpse into what my fans can expect from the new body of work and all the projects I have been working on. There is so much in store and I look forward to sharing them all with you. Thank you,” Sasha P.
“Authentic, with that one word Sasha starts a new urban legend, everyone will be claiming it but we know who represents it, the Authentic First Lady of African Rap, this one is for the clubs, certified 100% authentic,” Obi Asika, CEO Storm 360. This is one Sasha P music release you’ll enjoy!